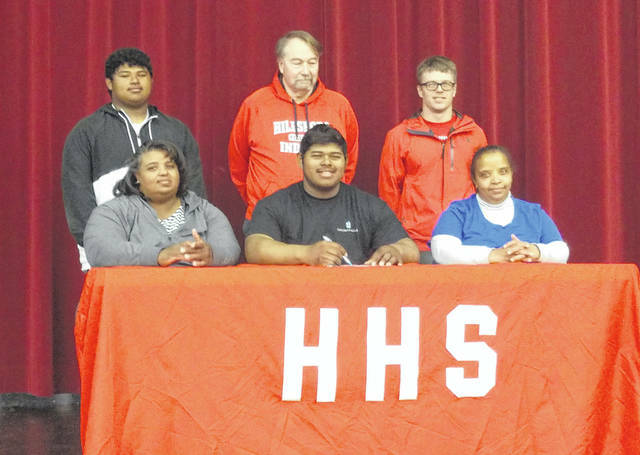 Hillsboro High School senior Deon Burns (front middle) has decided to continue his education and athletic career with Thomas More University. He plans to major in Education and play football. Thomas More University is a NCAA DIII college that will be moving to the NAIA and competing in the Mid-South Conference beginning in the 2019-2020 school year.